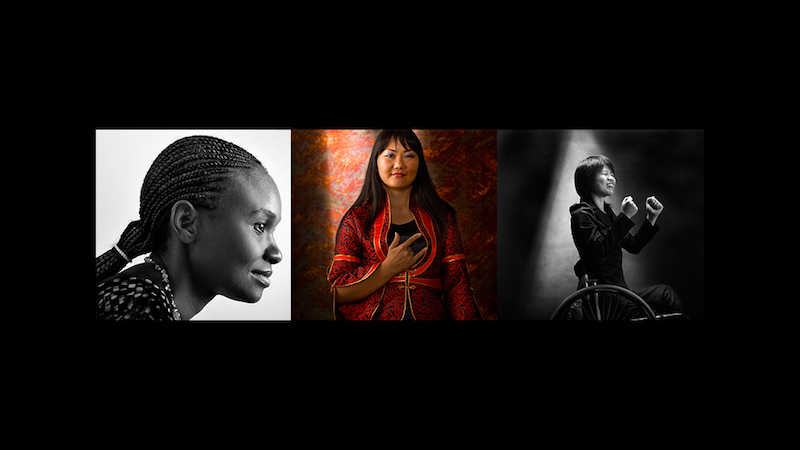 “Brilliant and Resilient: Celebrating the Power of Disabled Women Activists,” a summer exhibit at the Jordan Schnitzer Museum of Art, features a collection of images by world-renowned photographers and personal stories of women representing a variety of cultures, countries and disabilities. The portraits and vignettes illustrate issues that significantly impact the lives of women — access to education, employment, political power, reproductive health services, HIV/AIDS and violence prevention. An opening reception for the public will take place at the museum Wednesday, June 28 from 5:30 to 7 p.m. The venue is wheelchair-accessible, and sign language interpretation will be provided. An RSVP is recommended. The Brilliant and Resilient project includes 50 women from 41 countries who are all alumni of the Women’s Institute on Leadership and Disability, a program of Mobility International USA. Mobility International describes the exhibit as showing emerging and established leaders who have used determination, drive and resilience to confront discrimination and make unique contributions in their communities and in the world. Mobility International CEO and co-founder Susan Sygall and Women’s Institute on Leadership and Disability Program Manager Suz Dunn will speak at the opening reception and discuss the local and global effect disabled women activists from around the world have had. Vice President of Equity and Inclusion Yvette Alex-Assensoh will also speak at the opening. The exhibit is photographed by Darcy Kiefel, Paola Gianturco and the late Brian Lanker, a Eugene photographer. The exhibit is on display now through Aug. 27 in the Education Corridor Galleries of the Jordan Schnitzer Museum of Art. As a nonprofit organization, the mission of Mobility International is to empower people with disabilities around the world to achieve human rights through international exchange and international development.